Are you tired of trying to find your soulmate the traditional way? Does your busy schedule prevent you from going out and meeting new people? Do you have serious reservations about dating sites given the fact that the only thing most of their users want is not a lasting relationship but just a meaningless, short-term connection? Perhaps there is a solution for you! EliteSingles is a dating website oriented primarily toward highly educated professionals in North America who are looking for a serious relationship. Using its continuously fine-tuned matchmaking algorithm, based on the detailed information about user characteristics and preferences, the creators of EliteSingles promise to help you find a truly suitable companion. Keep reading our EliteSingles review to learn more about how this site works and whether it is a good fit for you! Immediately upon entering the website, you are presented with a simple, pleasantly designed welcome screen. As you scroll down, you will find all the relevant information about what this dating site has to offer, what makes it unique, and why it is the dating site of choice for professional single men and women looking for lasting love. EliteSingles is The Right Place to Meet New People – Try it Now! After a few easy steps, where you’re required to provide your email and choose a password, you’ll be asked to complete a rather long and very detailed personality test, which includes questions about marital status, educational level, profession, height, ethnicity, religion, personality traits, way of life, and location. You will also be asked to state the desired characteristics of your future partner. This can be somewhat tedious, but it is important to answer all these questions as honestly as you can since the matchmaking algorithm will be giving you suggestions based on the information you provided. What you will also instantly note is that your online safety and privacy are extremely important to the team behind EliteSingles, so the site has implemented secure ID Authentication, Profile Verification, SSL Encryption, and Fraud Detection Systems. On top of all this, EliteSingles Magazine is available to help you get started in the world of online dating. Here you’ll find the best tips for online dating success. After the registration process, your search for your perfect match may begin. EliteSingles has a nice and simple interface that is intuitive and easy to use. We are happy to state that the site is very well optimized and there is no lag when viewing messages, match suggestions, and profile visitors or editing your profile details. Everything is designed perfectly in order to provide a thoroughly enjoyable user experience. When it comes to features, EliteSingles offers all you could expect from a premium quality dating site. You can easily upload your photos, edit the details on your profile, search the member base using various criteria, contact your suggested matches, view who’s visited your profile, send and receive instant messages, and more. For those who prefer to use their phone for online dating, there is a nice, user-friendly app that is available for both iOS and Android. However, it is important to note that not all of these features are free of charge. As a non-paying member, you can exchange instant messages, but the photos of whomever you’re communicating with will be blurred. In order to see all member photos, use unlimited communication options, see all profile visitors, read receipts for messages, and unleash the full potential of intelligent matchmaking, you need to upgrade to a paid membership. It is also worth noting that if you have any issues that need to be resolved or want to request a refund, there is a Customer Care team that you can contact. In order to ensure maximum user satisfaction, the Customer Care team checks all new profiles, approves the photos that users upload, and removes inactive accounts. This dating site boasts as much as 173,000 new members per month, more than 90% of which are 30+ and have a university degree. This impressive user base is a guarantee that your search for your significant other will be successful. Members are busy professionals united by the common goal of finding true love and long-term relationships. 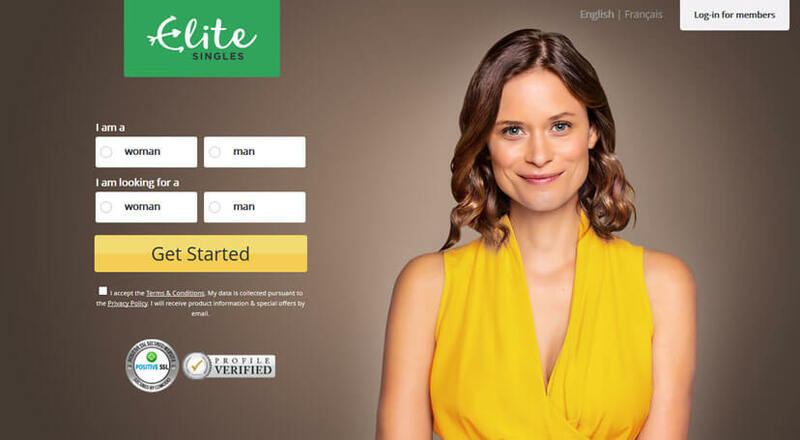 EliteSingles aims to offer educated and successful professionals a streamlined online dating service, delivering 3-7 potentially suitable matches a day per user and creating an average of 2,000 new couples each month. To ensure that your matches are compatible, all suggestions are based on relationship preferences, location, and answers you provided in the in-depth personality test. To conclude our EliteSingles review, by targeting college-educated 30+ singles who are in pursuit of a serious, long-lasting relationship, this platform has successfully built a high-quality membership base, which makes this dating site the best option in this segment of the market. Thanks to its superior matchmaking algorithm and high-quality app available on both iOS and Android, EliteSingles can help you find the person of your dreams. All you need to do is take that first step. So do not hesitate – visit the site and create your profile because the love of your life may be just a click away! Excellent site. I’ve been using it for 3 months and no complaints so far. Good site for dating, met some nice girls, would be great if I could see all photos as a free member.